How about refuelling a vehicle in just three minutes and no emissions during operation? What sounds like wishful thinking are two major advantages of one of the most promising energy systems of the future: fuel cell technology. In addition to the application requirements, aspects such as the space required for refuelling or charging, energy costs and environmental compatibility play an important role in the selection of the appropriate energy system for industrial trucks. Against this background, the focus is increasingly on alternative drive systems that offer advantages over conventional solutions such as lead-acid batteries, diesel or LP Gas. 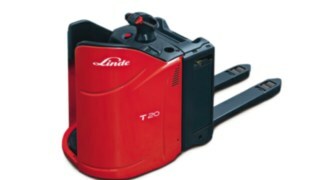 In this respect, fuel cells are included in Linde's product offering. 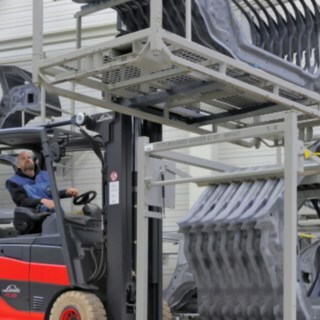 Linde Material Handling was the first manufacturer to begin exploring this technology and has been developing ready-to-use solutions since 1998. This gives logistics companies the opportunity to benefit from this future-orientated technology today. Fuel cells function similarly to batteries, meaning that energy is generated by a chemical reaction. The crucial difference: In the fuel cell, hydrogen and oxygen react to produce electricity, heat and water. This process is also called "cold combustion" and has some advantages, but also technical challenges. 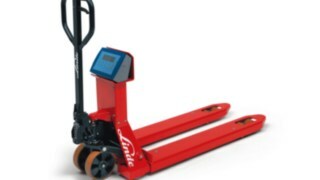 Linde has solved the challenges together with technology partners. For example, the heat generated is dissipated by a fan. In addition, an additional lithium-ion battery in this hybrid system ensures that peaks in performance are also covered. The battery is also fed from the regenerated braking energy. 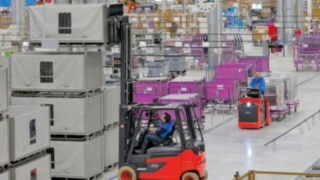 This means that nothing stands in the way of fuel cells being used everyday in logistics. On the contrary, the technology has some astonishing properties that have a lasting effect on the applications of industrial trucks. The fuel cells can be refilled with hydrogen in just three minutes. 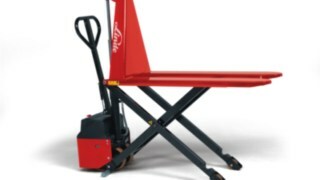 This increases the availability of the vehicles – a major advantage in tough multi-shift operation. The costs for hydrogen have fallen significantly in recent years. 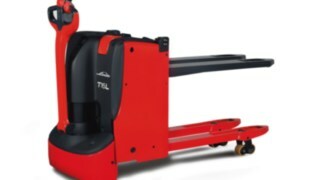 In addition, productivity increases due to the elimination of time-consuming battery changes and short refuelling times. The elimination of battery changes and potentially dangerous acids makes the handling of fuel cells particularly safe for users. Fuel cells are a clean alternative to lead-acid batteries. This makes them particularly suitable for use in hygiene-critical sectors such as the pharmaceutical and food industries. Fuel cells have an average service life of 10,000 operating hours. 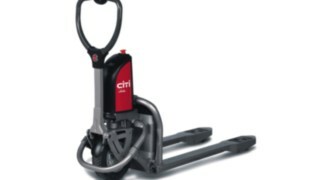 This reduces life cycle costs and the environmental impact. No battery charging stations or battery rooms: the infrastructure for hydrogen refuelling need not take up a lot of space, thus providing more storage area. "Cold combustion" only produces water vapour and heat. Hydrogen can be produced in an environmentally friendly way – from regenerative sources such as biogas, for example. This reduces CO2 emissions. Companies are increasingly assuming responsibility for their impact on people and the environment. Fuel cells make an important contribution here, which is of benefit to customers. By eliminating the need for battery changes, fast fuelling and the continuous performance level of the energy system, fuel cells increase efficiency in demanding multi-shift operation. 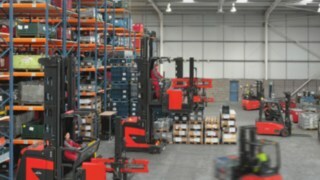 This makes the technology interesting for both production environments and intensive logistics services, e.g. for online stores. Hygiene requirements such as Hazard Analysis and Critical Control Points (HACCP) play a central role in the logistics of the food industry. In the pharmaceutical industry, too, the strict guidelines of "Good Distribution Practice" (GDP) apply. Compared to lead-acid batteries, fuel cells eliminate possible contamination by acid or other chemicals. High turnover rates, tight deadlines and cost targets in the automotive and supply industries require industrial trucks with high availability and continuous performance levels. Fuel cell technology is the optimum solution to meet these requirements. By eliminating the need for battery charging and changing, valuable storage space can be gained. Zero harmful emissions eliminate the need for an extraction system. 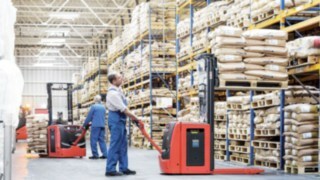 Linde Material Handling relies on strong and experienced partners for the development of fuel cell technology for its industrial trucks. Under the name "H2IntraDrive", a comprehensive study of the economic and technical possibilities was started in 2013 together with the BMW Group and the Chair of Materials Handling Material Flow Logistics at the Technical University of Munich. For this study, hydrogen-powered forklift trucks were used in the body shop of BMW-i vehicles in Leipzig for over 20,000 operating hours. The result: the jointly developed hydrogen drive is already available today and can be used economically under certain conditions. Overall, the technology was convincing in its daily use in a production environment with its high availability as well as in the use of regeneratively produced hydrogen with less environmental impact. Since 2017, another study has been running under the name FFZ70. 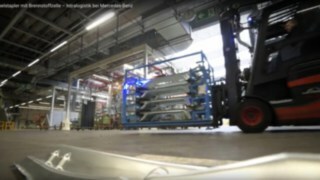 "E-LOG-BioFleet" is a shared project between Linde Material Handling, Fronius International, DB Schenker, OMV, HyCentA Research and Joanneum Research. 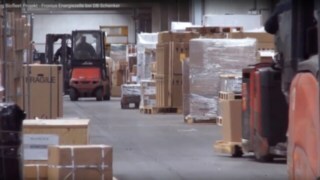 In a transhipment warehouse of DB Schenker in Hörsching, Austria, ten pallet trucks with fuel-cell hybrid drive and the first indoor hydrogen refuelling system in Europe were tested in practice. In the publicly-funded project, the vehicles could be fully integrated into the operation after a short introduction phase. 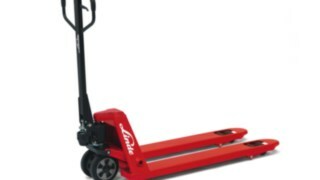 The basic power requirement is also generated by the fuel cell, an integrated lithium-ion battery covers the power peaks and stores recovered energy during braking. Thanks to the optimised operating strategy and the recovery of braking energy, the system achieved a high degree of efficiency of up to 53 percent. At the same time, a vehicle produced one third less greenhouse gases over its life cycle than a comparable vehicle with lead-acid battery. The hydrogen came from recycled biogas. 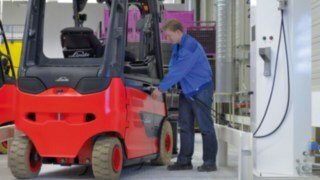 With the motto "Daimler Goes Green", Mercedes-Benz is testing the use of forklifts with fuel cell drive. The location is the world's largest plant for Mercedes Sprinter vans in Dusseldorf. 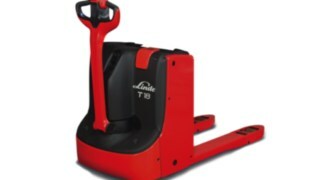 These popular transporters are produced here in a three-shift operation. 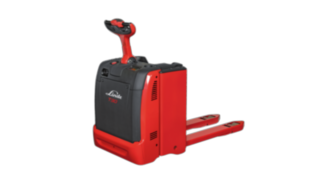 Hydrogen technology helps to save time and personnel costs by eliminating battery changing. Within just three minutes, the fuel cell is filled with hydrogen again and the truck is ready for use. 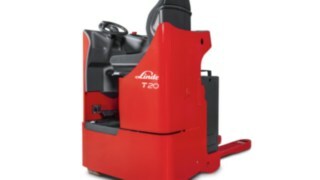 The technology thus creates ideal conditions for smooth shift changes. Fleet size: As a rule, an economical business case arises from the use of around 20 vehicles. Infrastructure: With an already existing hydrogen infrastructure for fuelling, economical use is generally possible. If this infrastructure has to be installed, the economic viability must be examined on a case-by-case basis. Subsidies:Where there are subsidy opportunities for the establishment of a sustainable, hydrogen-powered fleet, this increases the likelihood that a viable solution can be implemented. 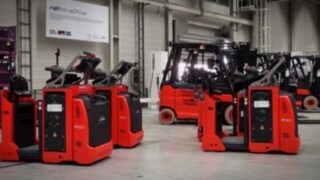 Linde Material Handling regards fuel cells as a pioneering technology of the future. For this reason, the company is gradually integrating appropriate solutions into new products. As a result, this extraordinary energy system is developing into an everyday product that will replace conventional drives in many places.